It is refreshing to see I am not the only one referred to as a “Mountain Climber.” I am 14 and a freshman in high school. I climb for a team at Vertical Endeavors (St. Paul and Minneapolis) called the “Mountain Goats.” I have gotten some people into climbing, although most of the kids who go to my school have some weird perception that I go climb mountain over the weekend. I then tell them that I am not a “Mountain Climber,” and that I am in fact a “Rock Climber.” I then tell them the two are different, and honestly they really don’t seem to care at that point. So it was refreshing to see people who are not only grown up, but work for a news company who usually get the facts straight, refer to Rock Climbing as Mountain Climbing as well. Kid, prepare yourself for a lifetime of non-climbing friends, family, and coworkers being confused about what it is you do on the weekends. It ain’t never goning to change. I wish this was the case but as you gain knowledge in any number of areas you will see that news companies often don’t get the “facts” straight. 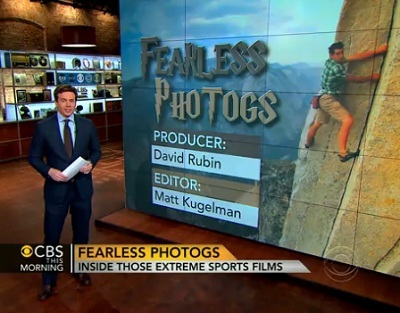 Not knowing the difference between mountain climbing and rock climbing, is fairly trivial compared to the mistakes that TV news broadcasters make when covering economics, science, and politics among other areas.